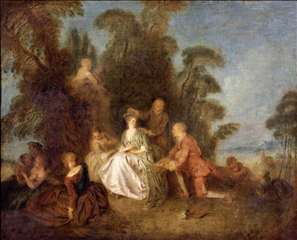 French painter, the only pupil of Watteau (a fellow native of Valenciennes), with whom he had a somewhat touchy relationship. 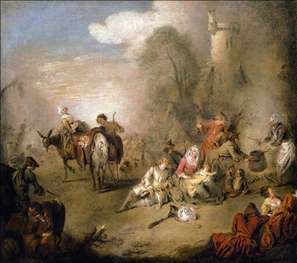 An unlikely legend has it that Watteau dismissed him from his studio (c. 1713) because he was disturbed by the threat offered by his progress to his own pre-eminence; whatever the reason for their differences, they were reconciled soon before Watteau s death. 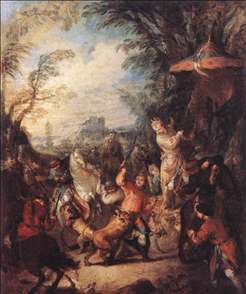 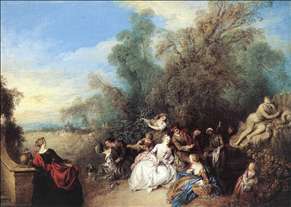 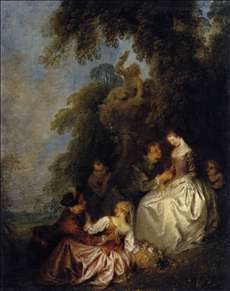 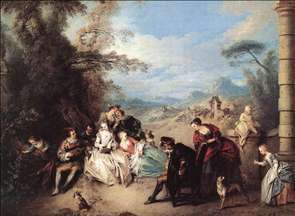 Like Watteau s other imitator, Lancret, Pater repeated the master s type of ftes galantes in a fairly stereotyped fashion. 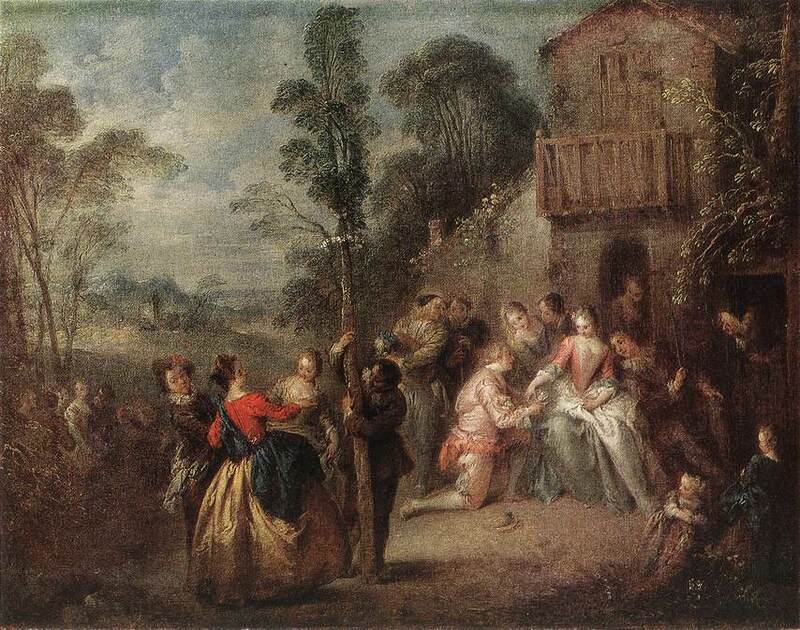 He showed more originality in scenes of military life and groups of bathers (in which he gave freer rein to the suggestiveness often seen in his ftes galantes). 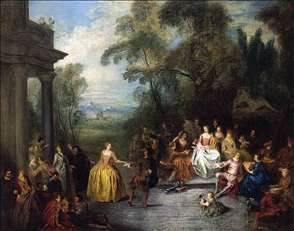 See more details about "The Chinese Hunt"
See more details about "Concert Champêtre"
See more details about "Conversation Galante"
See more details about "The Crowned Shepherdess (La Bergere Courronnée)"
See more details about "Fête Champêtre"
See more details about "The May Tree"
See more details about "Relaxing in the Country"
See more details about "Soldiers and Camp Followers Resting from a March"